Good Telemetry is on every team's wishlist, and using an Android phone with an internet connection to collect data on the car gives a perfect way to get that data back to the pits in near real time. While we have had this running at the 2016 Rockingham final, it was not a robust or secure system, but it did prove that it could be done through the phone's data connection. 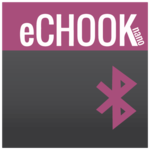 In one form or another, we will develop a telemetry system that can be rolled out to anybody using the eChook app. There will be no hardware changes, just an app update to enable it for everyone. Developing it will simply take as long as it takes, but we'll keep you updated!